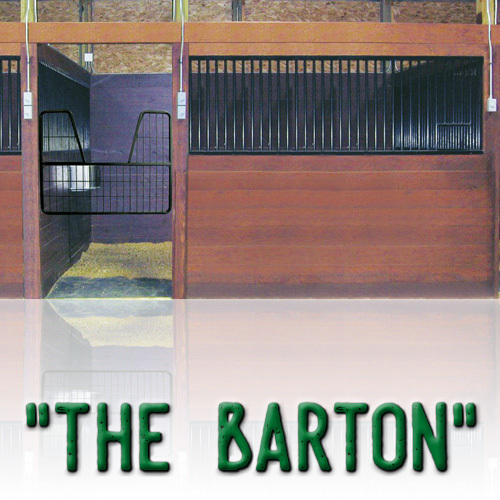 The Barton swing kit stall front includes welded grillwork (with hidden interior welds for superior strength), a 1/2 swing gate with a yoke, a custom quick latch, and all of the hardware needed to install this front. The Barton welded swing kit stall front includes welded grillwork (with hidden interior welds for superior strength), a 1/2 swing gate with a yoke, a custom quick latch, and all of the hardware needed to install this front. Installing these front only requires a screwdriver and wrench! There are no weld burrs for horses to get cut on. These stall fronts are versatile and durable. The huge grill section allows for excellent viewing of anything in the stall.